I’m allergic to tree pollen, and birch trees are just about the most allergenic. Plus I hate the way fallen pollen adheres to our shoes and gets tracked into the house every spring. 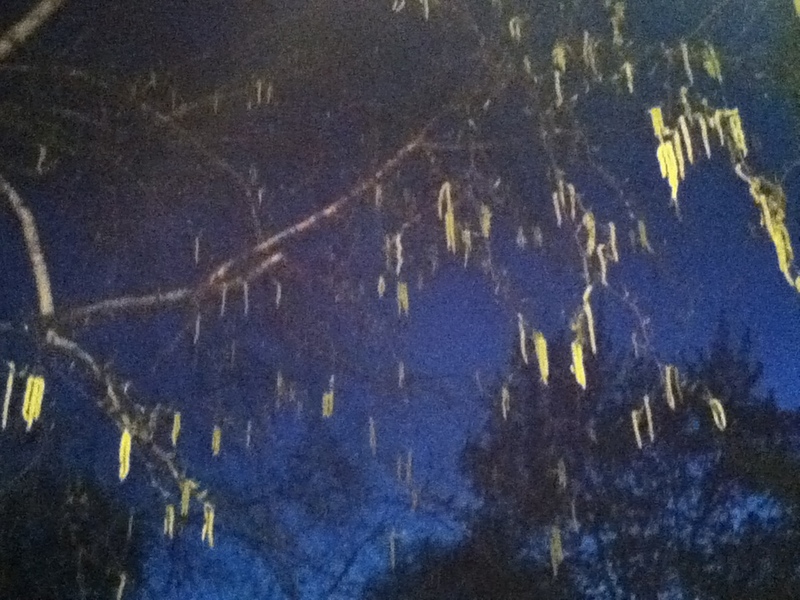 But I do love the look of those drooping catkins. They remind me of party lanterns strung across a patio. Last night, illuminated by porch light in the gloaming (love that word :)), they were so striking against the twilight sky that I had to snap this photo. This entry was posted in Uncategorized and tagged birch tree, catkins, staminate aments, tree pollen. Bookmark the permalink.